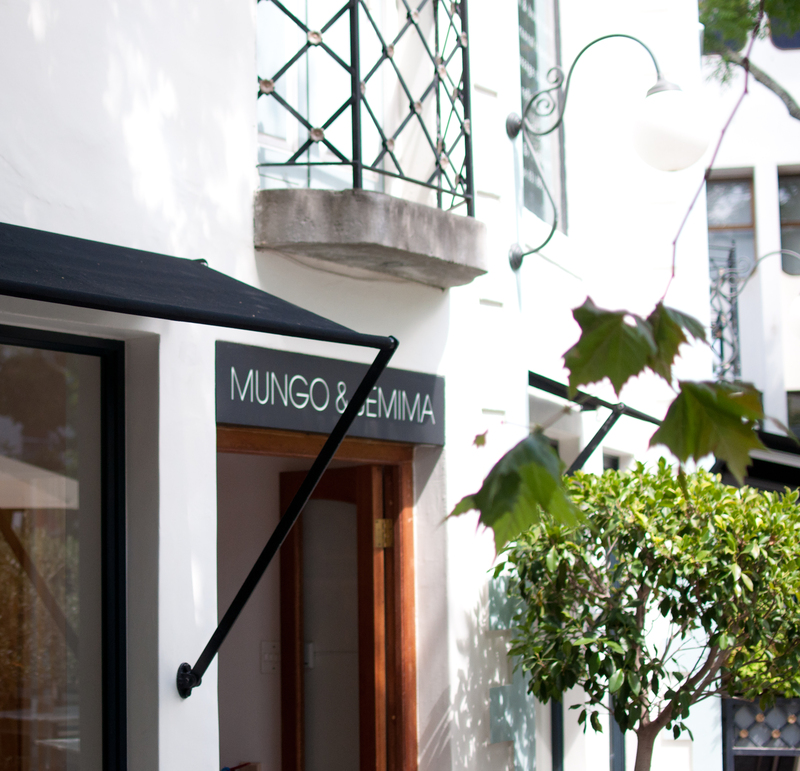 Mungo & Jemima is a Cape Town based fashion label with stores in V&A Waterfront and Cape Town city center. 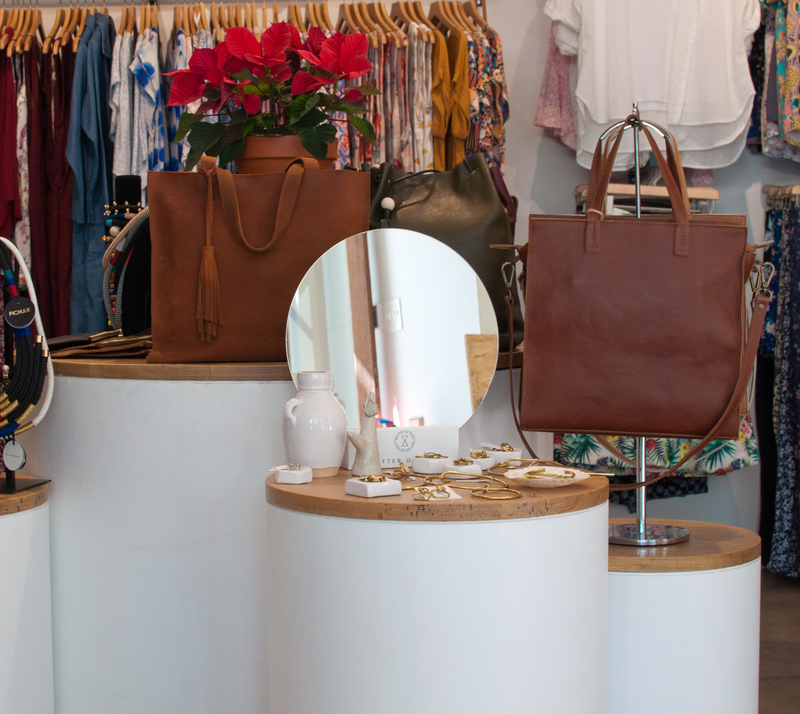 When they approached us to design their new store in Stellenbosch, we knew this was a brand we would enjoy working with. 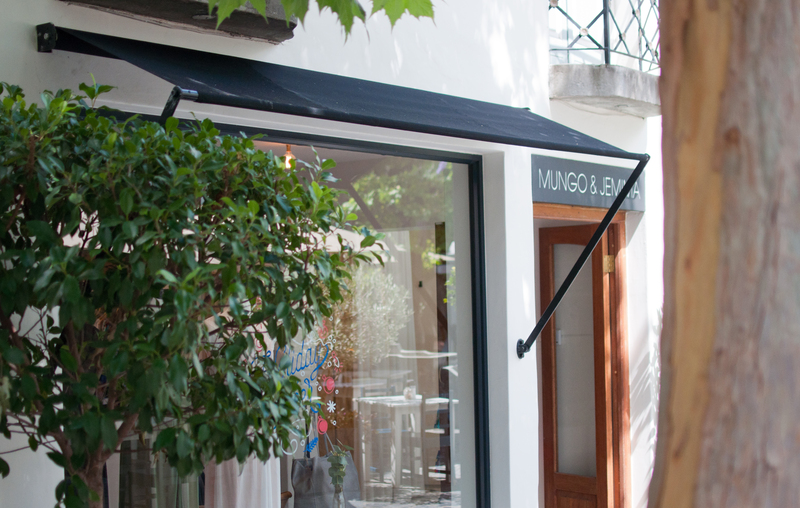 The site for the store is in a delightful open air courtyard. The first thing we proposed were two large narrow framed windows opening the store to the courtyard, introducing light and providing a brilliant shopfront display to people luncheoning in the courtyard. The interior layout required some out-of-the-box thinking with the space being divided by a column and oddly shaped. 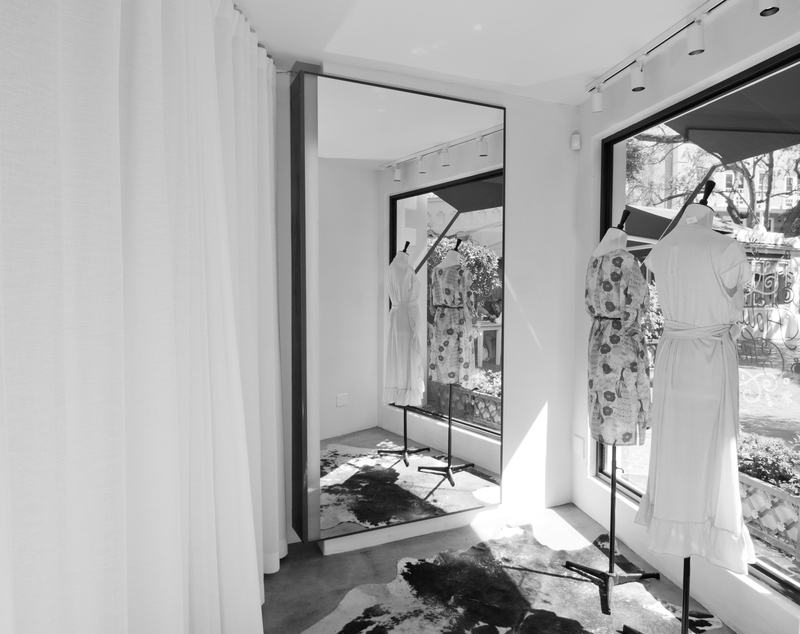 This was achieved by working with these features to create storage in a dead corner accessed through the fitting rooms, which in turn face one of the shopfront windows and provide a fitting area that is filled with natural light make a wall of mirror. 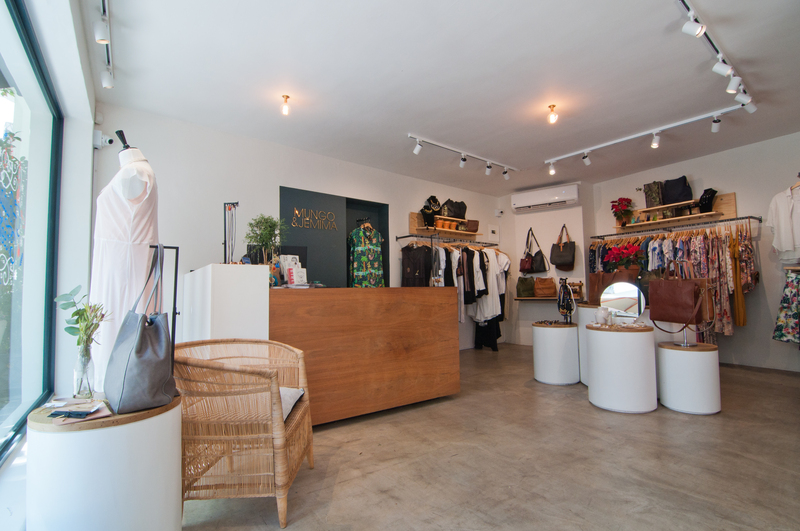 The design of the store is minimal and honest, which not only allows the merchandise to stand out, but also compliments the Mungo & Jemima brand. 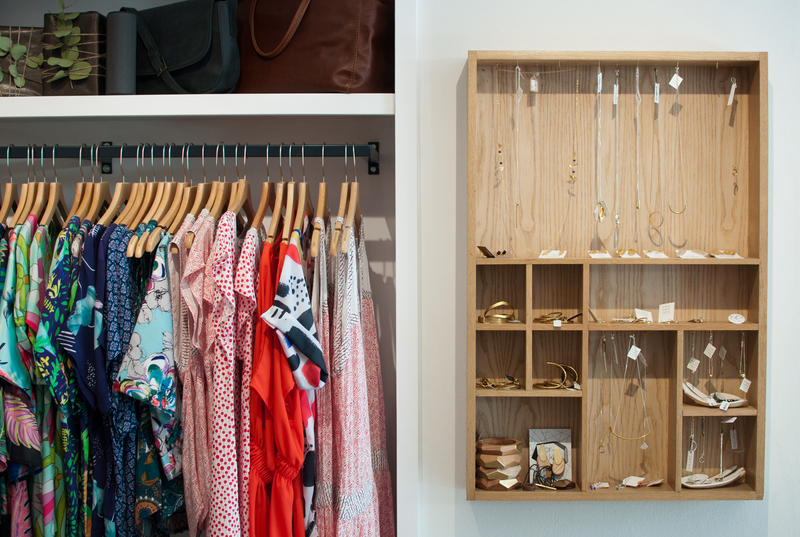 All the merchandise display units where custom designed and manufactured by us in a mix of solid timbers and clean white surfaces.